To reignite your muscle-building efforts, you must understand the most important principles of training for hypertrophy. Your gains begin here! It's been said that bodybuilding is both art and science. The creation of symmetrical muscle and the performance facet of posing contribute to the artistic aspect, but what about the science? The fact is, there's been enough research done on resistance training to call it a science, but there's a major difference between "bro-science" and "real science" when it comes to putting on quality size, as opposed to a bunch of fat. The scientific term for building muscle is hypertrophy—an increase in the size of the muscle cells (fibers). It's what many of us are chasing, but building muscle is much harder if we're not training correctly to maximize muscle growth. As you'll find, some ways are far better than others. Understanding what current research has shown us about successful muscle-building is the first step to gaining quality size. After all, getting bigger and stronger isn't just a challenging physical task—it's one that works your brain, too. 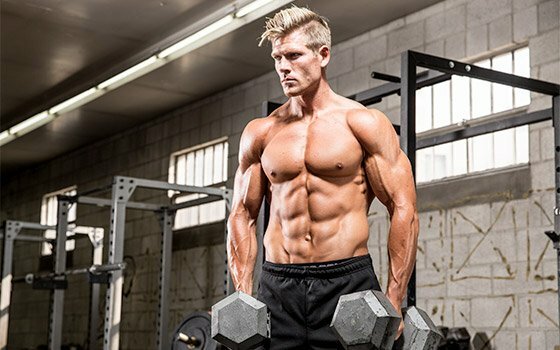 So let's take a closer look at the seven most critical training variables you need to understand that can reignite your muscle-building efforts. Intensity is often misunderstood. Most people think it's related to effort—how hard you train—but it actually refers to weight. Without question, intensity is one of the most important training variables, because in order to stimulate growth, you have to overload the muscle tissue. The weight is increased over time in a progressive, systematic approach. Because intensity is a measure of weight, it can be expressed as a percentage of your single best lift (or one-rep max, aka 1RM). 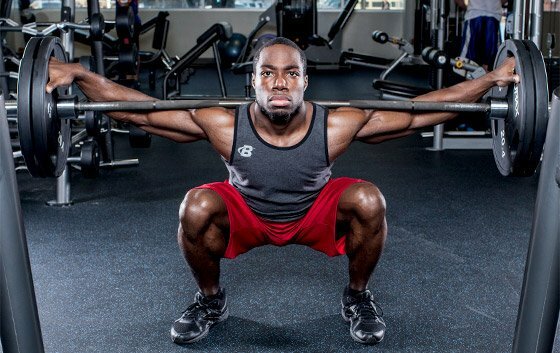 1RM is simply the maximum weight you can safely lift for one—and only one—rep using good form. Because intensity is a measure of weight, it can be expressed as a percentage of your single best lift (or one-rep max, aka 1RM). From that, you can determine certain percentages. For example, if your 1RM on the bench press is 185 pounds, 70 percent of your 1RM is about 130 pounds. Research tells us that loads less than 65 percent of your 1RM are not considered significant enough to promote hypertrophy. So in this case, other than warm-ups, you shouldn't be using a weight of less than 120 pounds if you want to gain size. How much weight you should use—your training intensity—is determined by your training goals. Doing high-rep (15 or more) sets have been shown to be inferior to moderate-to-low rep ranges (6-12) for hypertrophy. Low rep ranges (1-5) are proven to be most optimal if your goal is strength development. To train for maximal hypertrophy, do a moderate number of reps (6-12) at intensities that correspond to 65-85% of your 1RM. The data shows this to be the most effective for maximizing muscle growth. Gradually increase your volume over time in a methodical way. Volume equals total reps, sets, and load in a given training session. 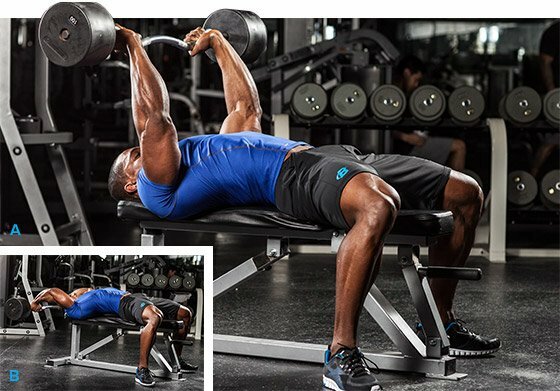 High-volume multiple-set programs are shown to be superior over single-set routines to increase muscle mass. While the exact mechanism isn't known, greater hormonal responses (acute testosterone and growth hormone elevation) occur with higher-volume multiple-set protocols compared to lower-volume protocols. For hypertrophy, more does appear to be better, and the higher-volume work more effectively spikes hormone responses. Gradually increase your volume over time in a methodical way. Your plan should also include shorter deloading periods to avoid overtraining. Multiple-set protocols (3-4 sets per exercise) have been shown to be most effective in muscle-building compared to single-set protocols. For hypertrophy, follow a higher-volume approach. Both multi-joint and single-joint exercises are useful for building muscle, but multi-joint movements are superior in this regard. Multi-joint exercises are the ones in which more than a single pair of joints are working during a given exercise. For instance, when bench pressing, the shoulder and elbow joints—and the muscles that attach to them—come into play. There's no question that multi-joint exercises recruit a greater degree of muscle mass, stimulate a greater hormonal response from training, and stimulate the nervous system to a greater extent than single-joint moves do. Including both types of movements is important to maximally develop the target muscle. Varying exercises allows you to stimulate more muscle fiber recruitment, essentially working the muscle from different positions, planes and angles. Both single-joint and multi-joint exercises have important roles in physique development, though the more demanding multi-joint moves arguably should play a larger role, especially early in your workout, when energy levels are higher. Ultimately, exercise selection should be varied to more fully develop the target muscle. Rest duration may be one of the most overlooked training variables for hypertrophy. What I'm referring to here is the amount of rest you take between sets. It needs to be adjusted based on your training goals. For example, for maximum strength development, rest time should be 3-5 minutes to adequately recover for the next performance set. However, a moderate rest period of 1-2 minutes offers the best benefits for hypertrophy. For maximum strength development, rest time should be 3-5 minutes to adequately recover for the next performance set. However, a moderate rest period of 1-2 minutes offers the best benefits for hypertrophy. You don't need to time your rest between sets with a stopwatch, but you should be more aware of the appropriate time range in order to take advantage of muscle-building effects. Proper rest between sets should be maintained at approximately 1-2 minutes to recover sufficiently and promote the optimal muscle-building environment. How long do you rest between training sessions that work a given muscle group when maximizing muscle gain? First, remember that the actual growth processes don't occur during the training; that's the stimulus for growth, but the muscle tissue is rebuilt during periods of recovery, requiring rest and good nutrition. Protein synthesis—which is the process that builds muscle—can remain elevated for 48 hours or more post-training. With that understanding, you should allow at least 48 hours of recovery before hitting a given muscle group again. How you set up your training split becomes an important factor. Doing chest on Mondays, triceps on Tuesdays, and shoulders on Wednesdays is therefore a less-favorable split than doing chest and triceps on Mondays and shoulders on Wednesdays. Allow 48 hours minimum between training sessions for a given muscle group to allow for sufficient recovery and growth. Research suggests you should lift faster and more explosively on the concentric phase, and use a slower controlled speed on the eccentric. 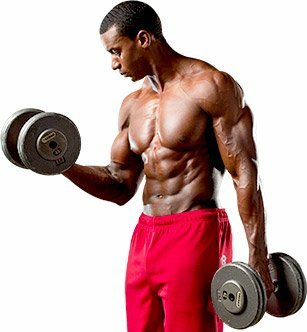 Concentric is the shorting phase of the muscular contraction (the elevation of the barbell during a biceps curl, as the biceps muscle contracts it is shortening). 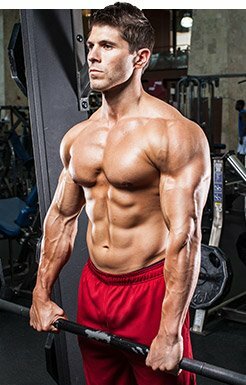 So what's the ideal rep speed to induce muscle growth during these three types of contractions? Research suggests you should lift faster and more explosively on the concentric phase, and use a slower controlled speed on the eccentric. Focus on lifting explosively during the concentric phase and a bit slower—controlling the descent, not letting it just drop—on the eccentric phase. Since you're using a challenging weight, it simply won't move very fast even though you're trying to lift the weight explosively. As previously stated, you must train hard and apply sufficient overload to build muscle, but how hard do you really need to push it? Should you put the weight down once you reach 10, when the muscle starts to feel uncomfortable or when you can't do any more reps with good form? It's an important distinction you need to understand. If you're training for maximal strength, you do not want to train to muscular failure, as it's simply too taxing on the nervous system and counterproductive to maximum strength development. However, if hypertrophy is your goal, it's a different story. Training to muscular failure—when you can no longer produce sufficient muscle force to complete another rep with good form—has been shown to be most effective. The limitation with training to failure is clear: It must be used with caution as there's a potential for overtraining when used long-term, a state in which growth comes to a grinding halt. That's because the nature of this kind of training recruits as many muscle fibers as it can, and produces increased secretion of growth-promoting hormones. Training to failure also induces more metabolic stress to contribute to a greater degree of hypertrophic response. The limitation with training to failure is clear: It must be used with caution as there's a potential for overtraining when used long-term, a state in which growth comes to a grinding halt. If you employ this training method, cycle in periods of lower-intensity training. For bodybuilders, it's important to use this variable strategically, as it shouldn't be used all the time. Now, Go Build Some Muscle! Now that you understand the seven most important training variables to optimize muscular development, keep in mind that if you step on the gas for all of them at the same time, you may burn out, plateau, or cause overtraining. Train smart, train strong, and apply scientific proof if you're serious about getting results. That's why it's important to step back and understand how a periodized approach in which you can manipulate all the variables at once can more effectively explode muscular growth. Consider your current program and what you may need to change or improve in your plan to pack on more size. Train smart, train strong, and apply scientific proof if you're serious about getting results.